2013 is almost here so that means a lot of looking back on 2012. Its been a good year for the Strong Made Simple site. There have been a lot of improvements not the least of which may be my writing. 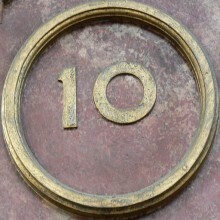 Here are my top 10 most viewed articles from 2012. My take on sandbags as a training tool. Know the limits of sandbag training and keep it simple. Quick tips for improving your strength almost immediately. Pick one and set a PR! My adventures in Strongman. With competition montage. A small change in the way you press and breath can be the difference between extra repetitions and failure. Give it a try. Simplify your warm ups. Get the job done and move on in your workout. How to cover all your warm up bases in 10 minutes. How to gain depth in your squat when there's nothing wrong with you or your ankles. Sleds are cool. Who doesn't wanna make their own? People dig bread. But everyone wants to avoid wheat nowadays. Here's your way around it. Plus you could give this out like fruit cake for the holidays! Since spraining my ankle last week I've become a big contributor to the web traffic on this post. Strength to go extra miles. Make strength training support your endurance endeavors! Post a comment on your favorite post and let me know what you'd like to see more of in 2013. A big thank you to all my clients in 2012 and to all of you visiting the site and sharing your thoughts and experiences. Happy holidays!